Thanks to this evasion of permission requests, Facebook users did not realise for years that the company was collecting information about who they called and texted, which would have helped explain to them why their “People You May Know” recommendations were so eerily accurate. It only came to light earlier this year, three years after it started, when a few Facebook users noticed their call and text history in their Facebook files when they downloaded them. 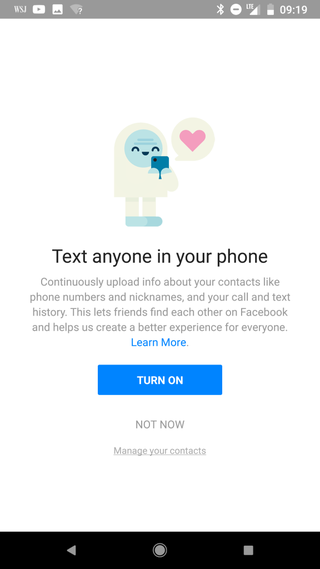 Facebook keeps avoiding in its statements about the call and sms history that the feature is one of the keys to making creepily accurate suggestions in people you may know. Facebook announced in April that it would delete call logs from more than a year ago. In other words, Facebook realised it wasn’t particularly useful to recommend you friend someone you texted 7 years ago about a couch on Craigslist, and would only do that if you contacted them about a couch within the last year.